The People's Crest • for American Soccer fans • from Clean Sheet Co.
for American soccer fans ∙ from Clean Sheet Co. The People's Crest is an original design intended to capture the passion of being an American soccer fan. The crest was created by M.Willis, and is maintained by Clean Sheet Co.
We've made the entire design, including digital components, vector art, and source files freely available to the US soccer community, right here, for personal use. Download it, adapt it, remix it. Make it yours. 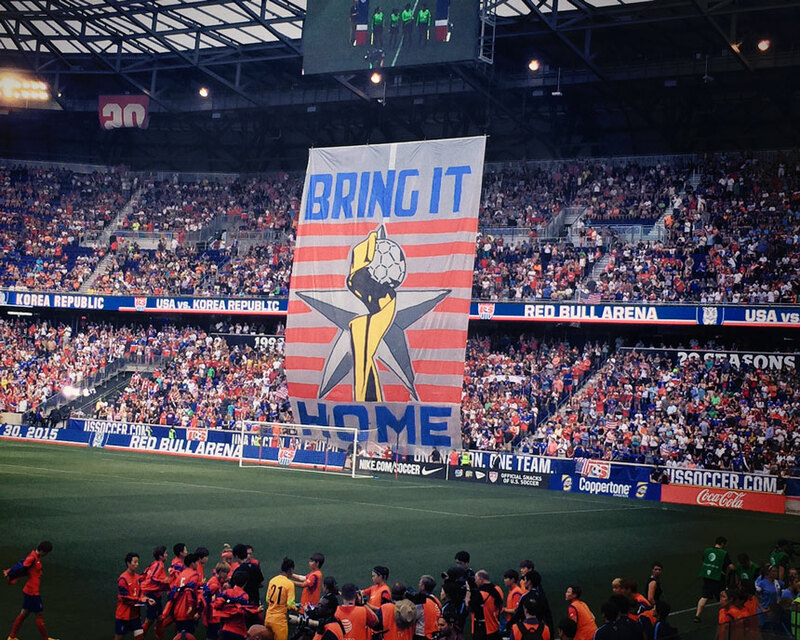 The idea, hopefully, is to create a talisman that American soccer fans feel is their own. Hi, I'm Mark from Clean Sheet Co., and I started the People's Crest project. I'm a designer, a digital strategist, and a passionate American soccer fan who's never been satisfied with US Soccer's visual identity. 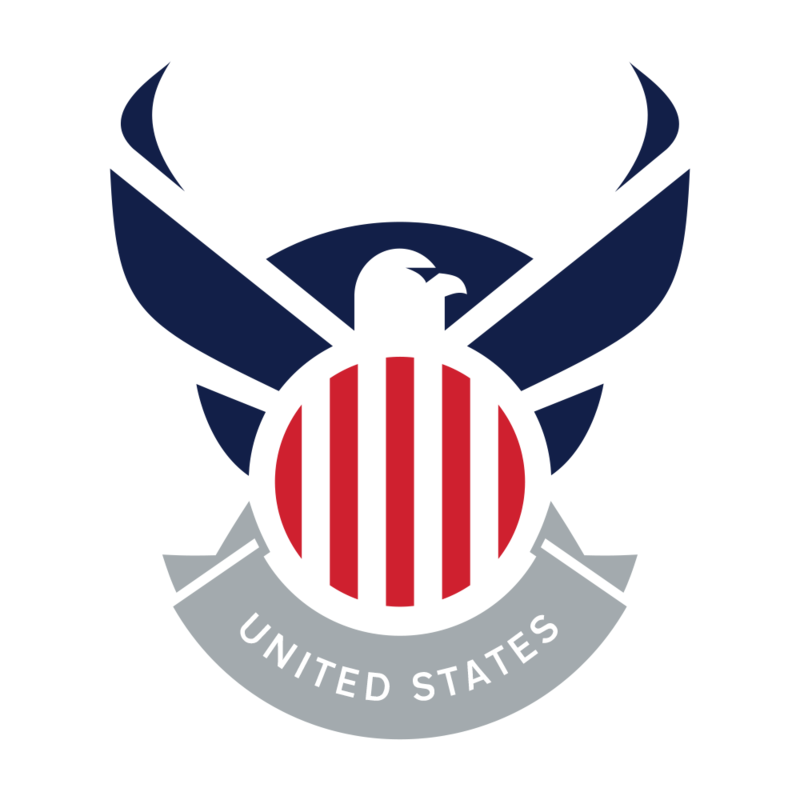 I designed this crest, and then wrote about it in a piece called "Identity Sketches for US Soccer." The article got a big reaction and sparked a lot of conversation. People asked to see more. 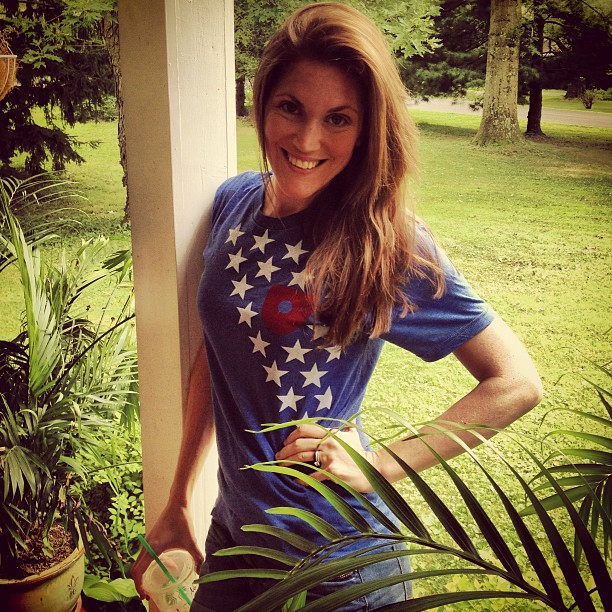 My design company, Clean Sheet Co., created a t-shirt line based around the crest, which quickly became popular. After only a short time, it was apparent that the design had struck a chord with many American soccer fans. 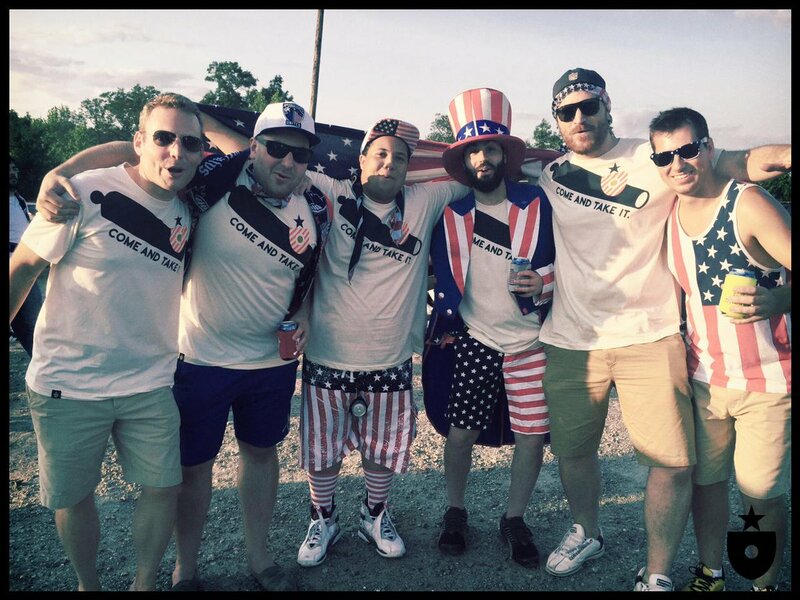 Corporate marketers at the USSF and Nike determine how US national teams are attired — but fan expression will always be the lifeblood of American soccer culture. Even the most well-intentioned marketing can't touch the creative voice of the supporter. That's where the power and the passion is. This crest is all about fans. It was created by a passionate fan with fellow passionate fans in mind. It doesn't come from from a monolithic, billion-dollar company. It wasn't selected in a boardroom and it isn't designed for maximum marketing potential. It's designed for match day. It's designed for banners and shirts and scarves. It's designed to be customized and adapted to the unlimited ways we express ourselves as supporters of the American game. At Clean Sheet Co., I have the privilege of interacting with inspiring American soccer fans every day. 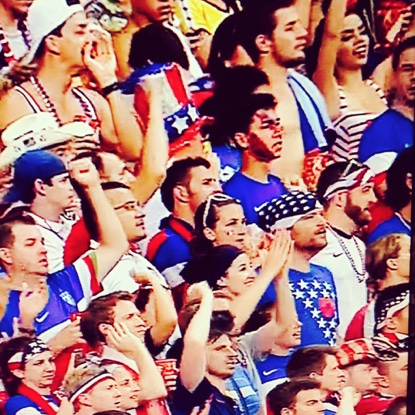 From my perspective, US supporters really are the best group of fans in the world. I realized that the same passionate fans who support our work at Clean Sheet Co. also give this design a special kind of potential. What if American fans could do anything they wanted with the crest? What if any fan, or any supporters group, could customize it and make it their own? What if we gave the crest, completely, to the the US soccer community, just to see what would happen? It was a pretty thrilling idea. And the more we considered it, the more sense it made. We needed to put the design in your hands, and give it openly to the American soccer community. If you love American soccer, the People's Crest is yours. If you haven't already clicked the button above, click here to download the People's Crest graphics pack. It includes vector files, layered source files, printable PDFs, fonts and more. To modify some of the layered files, you'll need an image editor (like Adobe Photoshop, GIMP, or Pixelmator), and for vector files, a vector editor (like Adobe Illustrator, Inkscape or Sketch). Font files are also included with the project, so you can install the project's typeface on your computer. You don't need to use elaborate editing programs or have design experience, though. If you just want to post the design on social media, make a DIY banner or t-shirt, or even just print out something for kids to color on, you can do that too. 1. Use the design wherever you express your fanship. Make it your phone wallpaper, your computer desktop, your Facebook or Twitter profile picure, use it on your website, etc. 2. Print it out. Put it on stuff (flags, banners, scarves, shirts, etc.). Make it a part of your match day — whether that's USMNT, USWNT or even club matches, tailgates, pub meetups — it's all good. And if you make tifo, we'd really love to see what you can do with it. 3. Make something new. The design is meant to be modified and remixed to express lots of ideas. If you'd like to customize it before you use it, please do! Changing the banner's slogan or colors are easy ways to start. 4. Give ideas back to the project. If you're so inclined, you can suggest edits and feedback for the crest. Or, let us know what should be in the downloadable graphics pack that's not already there. We'll try to incorporate good ideas and improve the project over time. The entire project is hosted on Github, and contributors are welcome. I want with the crest? Pretty much anything non-commercial. This project is supporter-focused, and made available under the Creative Commons BY-NC-SA license. Basically, the work here is freely available for non-commercial, personal and community use. That means you can make stuff for yourself or your group to use, but you can’t sell stuff with this design without talking to us (info@cleansheet.co) first. If you make something with it and publish it, we’d love a shout out or a link back to http://peoplescrest.org. It would also be cool if you share alike, meaning you make your modifications freely available for others to use. That’s how a project like this grows! Finally, we’re big believers in inclusion, compassion, and peace. This work is not welcome to be used for anything that promotes intolerance, hatred or violence. Have fun with it. Talk to us on Twitter and Facebook. Send us pictures. Share with your soccer-loving pals. We make the best soccer fan focused t-shirts in the world, so grab a few of those if you like. We'll be making more People's Crest designs that I know you're going to love. The US soccer community has been incredibly good to both Clean Sheet Co. and myself. You've given us a great deal of support, excitement and happiness. We hope to continue to find ways to give back. I hope this is a good start. © 2019 M.Willis & Clean Sheet Co.